One of the most stealthy yet substantial reveals of the entire trailer is that of a hint towards the fate of Shuri. The last time audiences saw Shuri was during Infinity War's third act battle in Wakanda, where she was attempting to separate the Mind Stone from Vision's head when she was attacked by members of the Black Order. Though she was shown to have clearly survived the attack, she is not shown during or after Thanos' climactic snap. 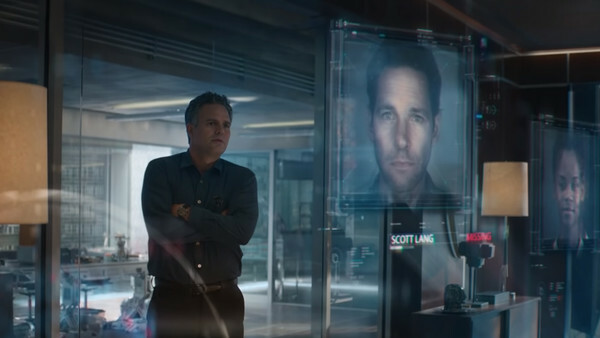 But in the new Endgame trailer, there's a shot of Bruce Banner looking at a screen full of all the dead characters and Shuri's picture briefly appears, seemingly indicating that she got dusted along with the rest of half the universe. However, there's almost no chance that things are this simple. For starters, when asked months ago about Shuri, the Russos said they couldn't reveal her fate for fear of "spoiling" Avengers 4. They had no problem confirming other characters who didn't survive the snap but shut down at the mention of Shuri. This would seem to indicate that she is still alive, meaning she's either gone into hiding since the end of Infinity War or that this is just the latest of Marvel's legendary trailer misdirects. Either way, expect Shuri to be alive and have a substantial role in Endgame.